Google has launched a new online deal destination called the “Great Online Shopping Festival”. I learned about the site earlier in the day and browsed through what it had to offer. Even after thinking about it for sometime now, I am unable to understand the reason behind this new initiative by Google. Generally, whatever Google does, there is a specific purpose behind it, but in case of GOSF, I could not come up with any particular reason or may be there are multiple reasons. But first lets look at what GOSF is all about. 1 What is Great Online Shopping Festival? 2 What’s the reason behind launching GOSF? What is Great Online Shopping Festival? GOSF could be termed as a deal aggregator of sorts, but with a slight difference. 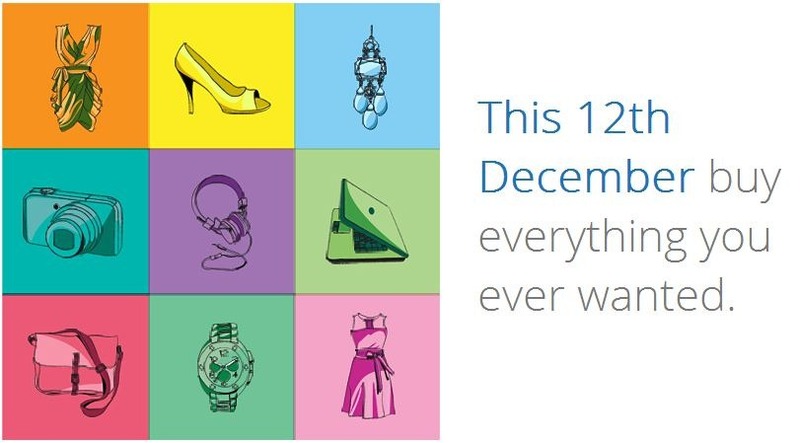 Unlike other deal sites, it will not be continuously showing deals through the year, but on one specific day, and the day happens to be 12th December 2012. At the time of writing this, 58 sites have been listed on GOSF and interestingly, they are not only E-Commerce sites. They include property sites, Job sites, healthcare and others. 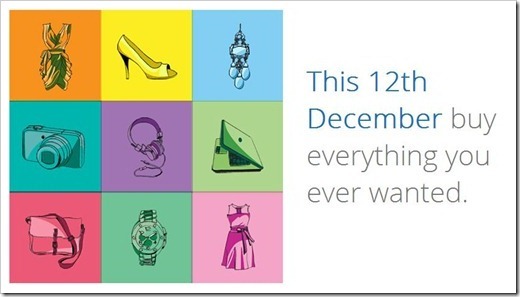 All of the participating sites will be offering presumably great deals on that one single day – 12th December 2012. What’s the reason behind launching GOSF? I am sure by now you are familiar with Black Friday, Cyber Monday and other such days when products / services are sold at heavily discounted prices. Online as well as offline retail stores witness unbelievable rush during such deal days. Infact, some sites witness more sale on that single day, than in an entire month. In India, as yet, we do not have any such days. Google understands how popular these kind of single deal days can get and want to probably bring that concept in India. However, I am not sure how it benefits Google in anyway. We all know how popular online shopping is getting in India. in last 3 years, over 50 new E-Commerce sites have launched. It may be possible that Google may be indirectly entering into this space with some product or service and is probably testing the waters with GOSF. It is interesting to note that GOSF site has specifically listed down 10 Tips on why consumers should buy online. Although, hoardes of E-Commerce sites have launched in India online over past couple of years, only a handful are doing well. Infact, many experts are already talking about consolidation in Indian E-Commerce Market. Now, Google’s main revenue source is obviously advertising, and E-Commerce sites are the biggest spenders on advertising. If, with this initiative, Google can promote these sites, it will surely act as a fillip to some of the struggling sites and indirectly benefit Google in restoring their main advertisers. Although, most of you may think that this may not be the reason, I believe that this probably is the biggest reason behind Google launching this online shopping festival. It is also very much possible that Google may really not have any specific reason behind this. It may be one of the side projects done by one of their engineers…that’s all. It does not really take much to put together a site like GOSF.in. Whatever said and done, I have marked my calendar for 12th December and I will be watching closely as to the kind of deals offered on GOSF. We will also try and dig the reason behind Google launching it. What do you think? Why has Google launched GOSF in India. Let Alone google, Citibank is hosting its one day sales event today! I agree with the last reason.. that is no reason at all. This type of project that is done at almost negligible cost of execution maybe just a way for Google to enthuse the culture of 'Cyber Monday' type of shopping festival in India. Given the size of indian market, even a small percentage increase in ecommerce culture helps everyone (including Google). What else Google tries to better microsoft! Arun, the answer behind this move from google is pretty clear.They want to attract all ecommerce companies & show how much google can do for their business.In turn,it may increase ad spend by those companies on Adwords. Secondly, Google might want to own a share of the indian ecommerce space by launching some bidding platform for ads and deals on this newly created website.This will also bring in more revenue for google as their domain name is highly brandable and ecom companies would fight to place their ads on it.